Nigel Adkins, the Sheffield United manager, has conceded that making a breakthrough in the transfer market could reinvigorate his team’s promotion push. 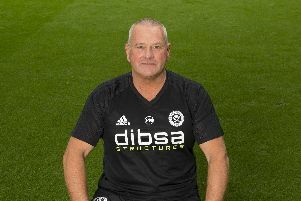 But, acknowledging there is a “big desire” among the League One club’s supporters to see new faces arrive at Bramall Lane, Adkins warned that rules governing the emergency loan system meant the situation is not as straight forward as might first appear. United enter tomorrow’s game at Doncaster Rovers ranked 11th in the table, five points behind sixth-placed Millwall and under intense scrutiny following their failure to secure any of the players identified as potential acquisitions before the deadline for permanent signings earlier this month. Fulham’s Dan Burn is Adkins’ primary target although other options at Championship level are also thought to have been considered despite the problems caused by the inflated salaries now being paid throughout England’s second tier. United, beaten by Wigan Athletic last weekend, received some welcome news ahead of their visit to the Keepmoat Stadium after defenders Bob Harris and Kieran Wallace both confirmed their availability after recovering from injury. Harris featured alongside Florent Cuvelier, Louis Reed and Dominic Calvert-Lewin when the under-21’s overcame Nottingham Forest on Monday afternoon. But Stefan Scougall is expected to miss the game against Rovers due to a leg complaint. Adkins said: “There’s a big desire out there that we do something in the market. It would give everyone I gee-up. Likewise, there are players we have here who haven’t played for a while and who we could bring in.